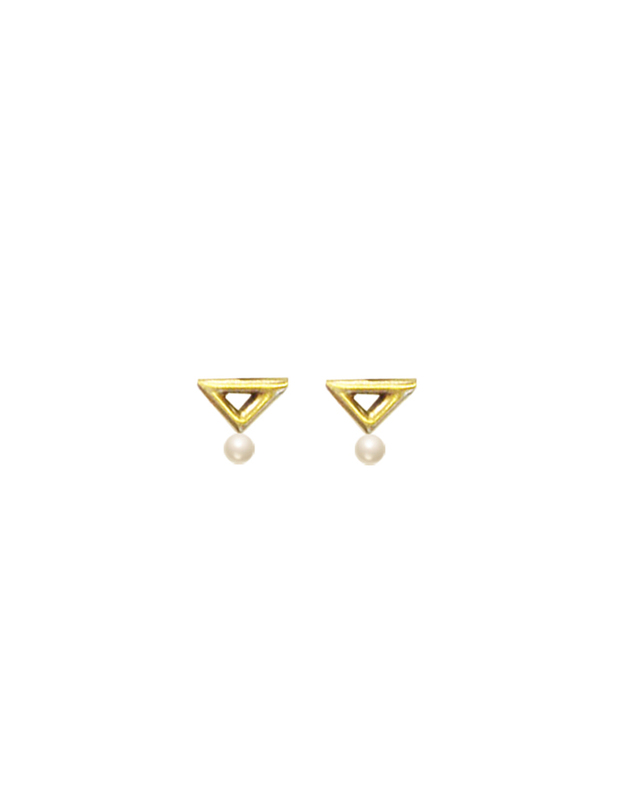 These earrings are made in matte gold plated brass small triangles with a satin matte finish. Each triangle measures 15mm x 9mm, and the Swarovski white pearl beads are 5mm in diameter. The ear post and ear scroll are made from gold plated silver.